The Holy Father, Pope Benedict, has asked us to observe a day of prayer and penance this coming Sunday to "implore the precious gift of peace" from God in response to the increasing violence that has developed in recent days in the Middle East. 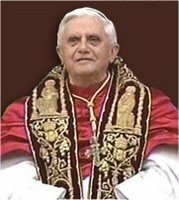 The Holy Father is following with great concern the destinies of all the peoples involved and has proclaimed this Sunday, July 23, as a special day of prayer and penance, inviting the pastors and faithful of all the particular Churches, and all believers of the world, to implore from God the precious gift of peace. In particular, the Supreme Pontiff hopes that prayers will be raised to the Lord for an immediate cease-fire between the sides, for humanitarian corridors to be opened in order to bring help to the suffering peoples, and for reasonable and responsible negotiations to begin to put an end to objective situations of injustice that exist in that region; as already indicated by Pope Benedict XVI at the Angelus last Sunday, July 16. In reality, the Lebanese have the right to see the integrity and sovereignty of their country respected, the Israelis the right to live in peace in their State, and the Palestinians have the right to have their own free and sovereign homeland. At this sorrowful moment, His Holiness also makes an appeal to charitable organizations to help all the people struck by this pitiless conflict.